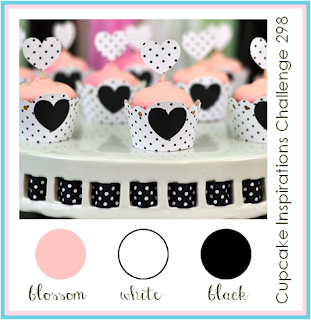 I played along with Cupcake Inspirations Challenge again! 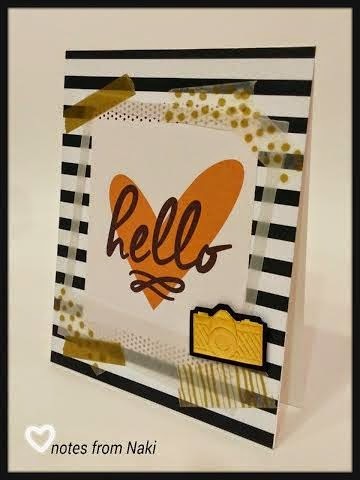 Isn't this color combo just simply yummy!? This little bunny was perfect for this challenge, she already has the polka dots outfit on, so I just had to give her a little tutu and she is all set! 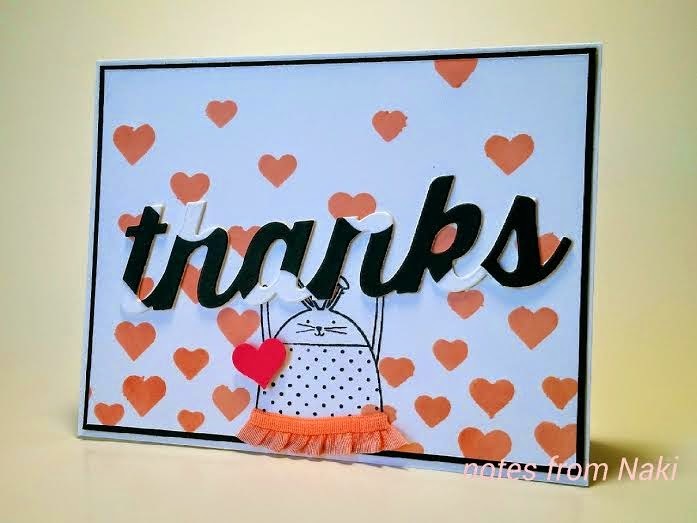 The thanks die has a wavy border from the Tasteful Trim Bigz Die in Basic Black on Whisper White. I also cut 2 more in Whisper White and layered them to give some dimensions. 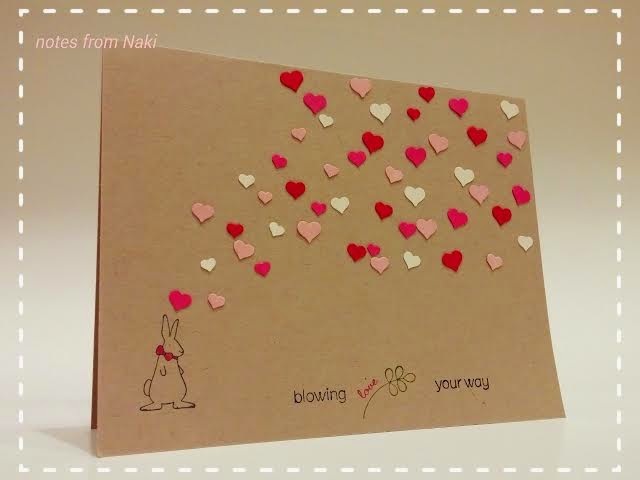 Valentine's day is so fun, you see so many hearts in red and pink everywhere you go! 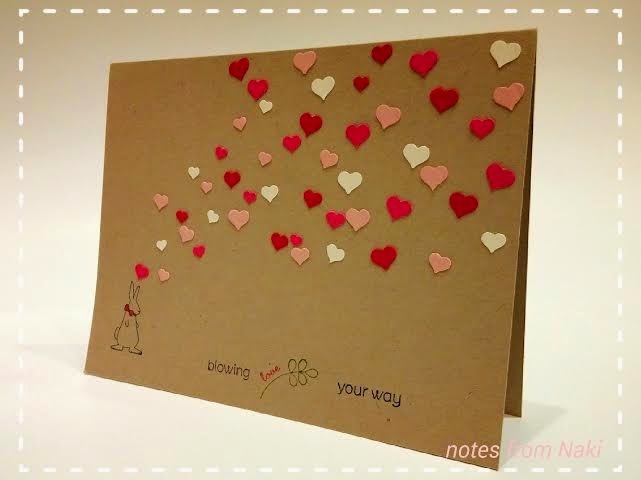 And my valentine's day card for my husband is filled with them this year! I used the Confetti Hearts Border Punch from the Occasions Catalog to get all those lovely hearts, and with my trusty tweezers and patience, I glued them one by one! 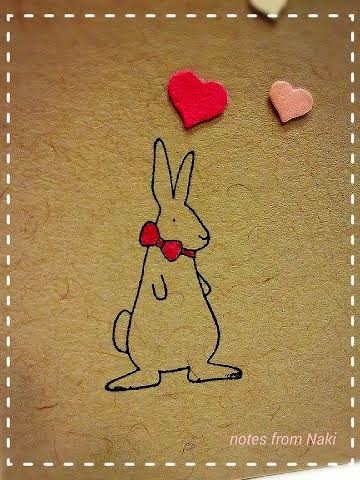 Isn't this little bunny just adorable!? My friend and partner in crime, Nina, gave me her retired stamp set "So Cute"
That girl is so generous, she has given me so many goodies! Thank you, girl! I carefully added some color in his little fancy bow tie with Melon Mambo Stampin' Marker, then blended a bit with the Blender Pen. 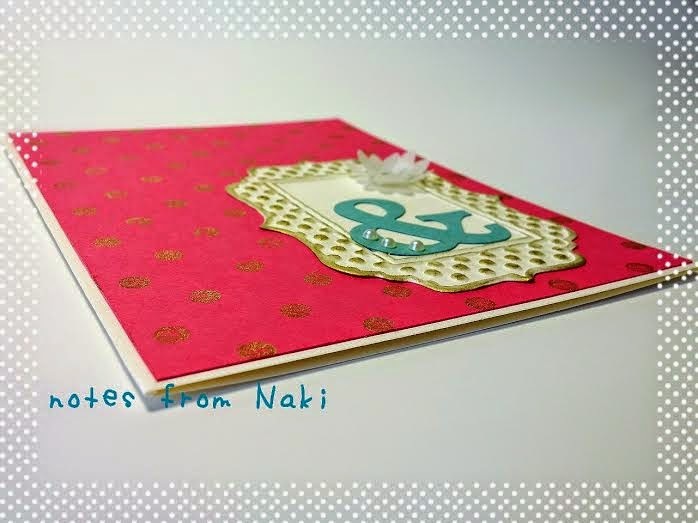 The sentiment is a mixture of the little leaf and love stamp from the So Cute set, and the Wishes Your Way set. It is time for another Double Dare Challenge!! 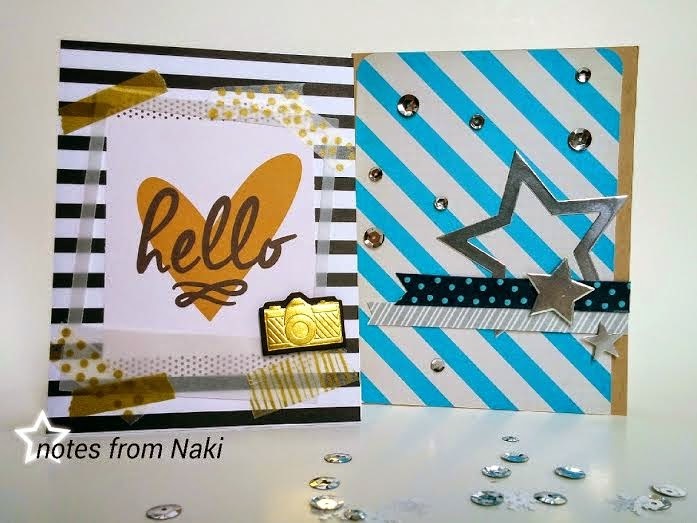 So I made two cards because I wanted to showcase the 4"x 6" and 3"x 4" cards. 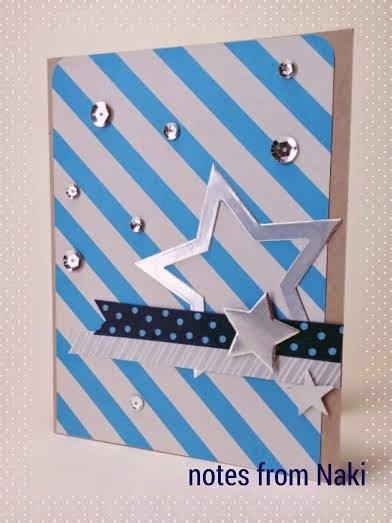 This one is 4"x 6", I used it as background just like you would with any DSP. I actually placed washi tape on some scrap paper so the big stripes from the PL card wouldn't show through. It also prevented from looking all bumpy and messy on the uneven surface. This one features the 3"x 4" card from the Be Fearless Specialty Theme Cards. I went through my PL card collection and this one caught my eyes, and the design came right to me! 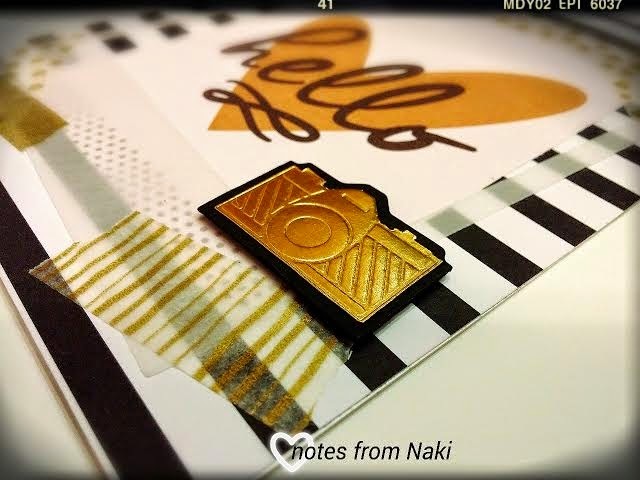 Isn't this camera lovely in gold layered on black!? It was a little tricky to cut around but I love it! 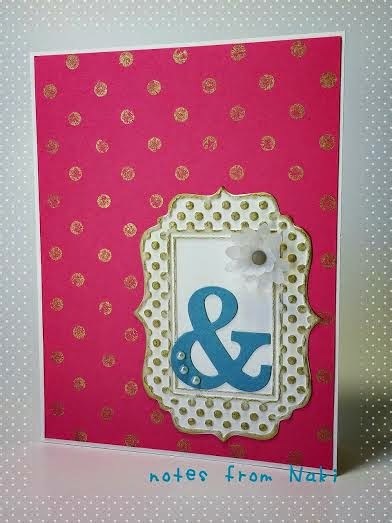 Also, I am totally in love with the Stacked with Love DSP Stack, a bunch of lovely designs! 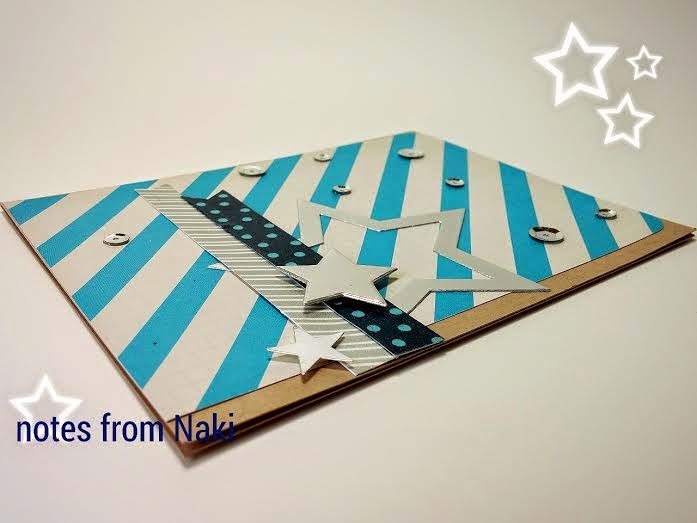 Now let's all head to Nina's blog and check out her beautiful creation for this fun challenge! Hope you all join us as well, just link up your picture in the comment below! 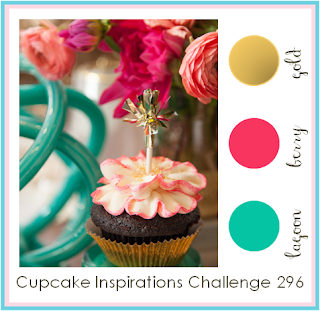 Here is another card for Cupcake Inspirations Challenge! Here is this week's inspirational picture with yummy colors! 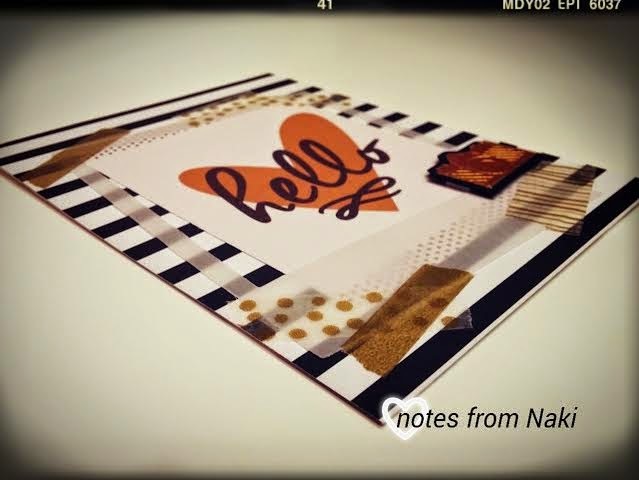 So immediately, I grabbed the Distressed , Dots Stamp and the Gold Encore Ink Pad. Don't they look just gorgeous together!? I tried several different things with Lost Lagoon and I just did not like any of them. When I don't get any ideas, I usually go through everything I own, stamps, punches, dies, embossing folders... And this is what I got. 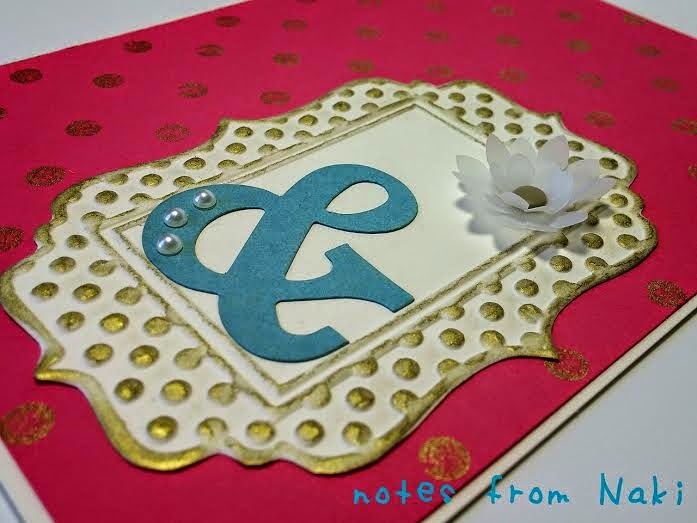 After embossing one of the Fun Frames, I carefully cut around it, then sponged it with Gold Encore Ink. 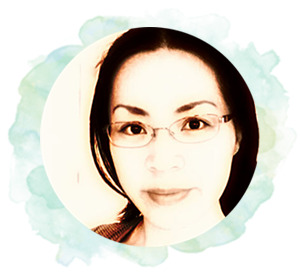 I like the vintage look it gave!